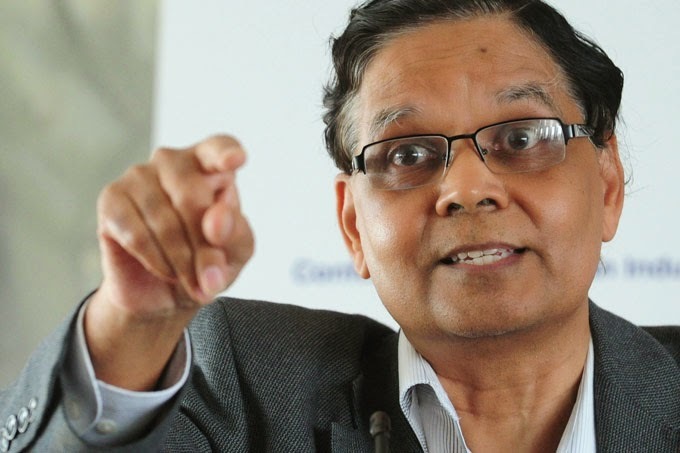 Well-known pro-Narendra Modi economist Arvind Panagariya, whom critics label a "neo-liberal", has said that Government of India's (GoI's) latest policy changes -- ranging from Make in India campaign, to land and labour "reforms" -- are meant to trigger migration of people from rural to urban areas in search of jobs. Quoting a representative study, he says, "Indian farmers and their children recognize the superior prospects that faster-growing industry and services can potentially offer." "According to a recent survey conducted by the NGO Lokniti, 62 percent of all farmers say that they would quit farming if they could get a job in the city. As for their children, 76 percent say that they would like to take a profession other than farming", Panagariya, who is vice-chairman of the new Narendra Modi avatar of Planning Commission, has said. Panagariya in his maiden blog, "Job Creation in Industry and Services and Shared Prosperity", on the commission's new website, http://niti.gov.in/, says that while agriculture employs half of the workforce, which is "also significantly poorer than the other half, employed in industry and services", it contributes just 15 per cent of India's gross domestic product (GDP). Pointing out that, in the long run, it is impossible to depend on agriculture for faster growth, Panagariya says, "Over long periods, experiences such as that of Madhya Pradesh during 2011-12 to 2013-14, whereby agriculture grew in excess of 20 percent, annually are rare." He adds, "In the recorded Indian history, the fastest that agriculture has grown nationally over a continuous ten-year period has been under 5 percent. Put another way, in countries experiencing growth rates of 6 percent or more over long periods, overwhelmingly, industry and services have grown substantially faster than agriculture." Giving examples of international experience how migrations have helped economies grow, Panagariya says, "Prosperity was widely shared in South Korea and Taiwan during the 1960s and 1970s because workers in agriculture could migrate to good jobs in industry and services." He adds, "The share of industry and services in employment in South Korea rose from 41.4 percent in 1965 to 66 percent in 1980 and further to 81.7 percent in 1990. Correspondingly, the employment share of agriculture fell. A similar pattern was observed in Taiwan during the 1960s and 1970s and more recently China." Insisting that this is exactly what Modi's Make in India campaign is seeking to aim at, Panagariya says, while "public investment in agriculture toward productivity-enhancing items such as micro irrigation, soil cards, effective extension services and improved seeds" is all right, the GoI's special attention has been towards industry and services for creating jobs outside the agricultural sector. Panagariya claims, "labour law reforms" -- such as those undertaken in Rajasthan and Madhya Pradesh, which allow entrepreneurs to hire and fire workers at will -- too have been undertaken with this aim in view. Even the recently proposed land acquisition law is aimed at a similar purpose, he adds. "A common fear aired is that the expansion of industry and services would divert land away from agriculture thereby undermining food security", Panagariya says, adding, "These views are aired without attention to the some key facts." He says, "Area under non-agricultural use, which includes housing, industry, offices, roads, railways and other similar items, was only 8 percent in 2011-12, the latest year for which data are available. Fifteen years earlier, in 1997-98, this proportion was 7 percent." "Even this 1 percentage point increase did not come at the expense of agriculture", Panagariya contends, adding, "Increased multiple cropping allowed the gross area sown to rise from 57.8 to 59.4 percent of the total land area between 1997-98 and 2011-12. And, of course, productivity increases allowed agricultural output to rise proportionately much more."